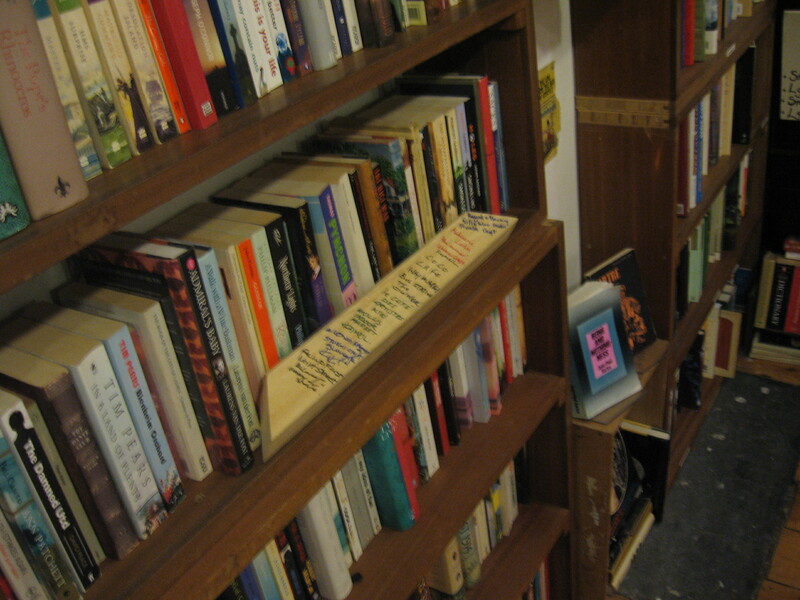 The picture shows a bookshelf with vintage books at Cox and Baloney: the vintage boutique on Cheltenham Road Kiki referred me to. As well as books, the boutique sells vintage clothes and fashion accessories and serves tea in vintage, bone-china teacups. After explaining about 25 Pockets of Bristol, I received a printed cut of fabric to placehold the store’s location on the assemblage and was sent by the owner to next visit Emma or Steve at Upfest gallery, North Street.